We love the rug! Great feel, the colors are vibrant making it perfect for our room and a added plus is it will hide the kids spills. Shipped straight to house and very easy to roll out into place. I think this rug would be okay in the smaller size but in the 9x12 it look so cheap!! I would not recommend this rug. Go to the flea market and buy a vintage rug if you want this style. That's what I did and it was much more inexpensive and looks incredible in my space. 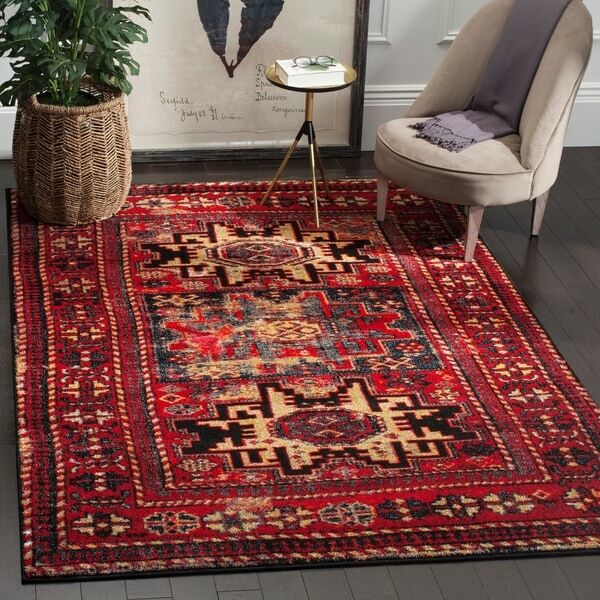 Had my eye on this rug for a while and was so glad when I saw it on Overstock for such a great price (almost half the price of where I originally saw it!). The colors are rich and look great with all furniture types/colors and the design is detailed and beautiful. It's soft, great quality, and perfect for a high-traffic living room. This carpet was delivered sooner than I expected!!! It’s by far the best quality carpet I have ever purchased! Everyone that visits me asks about his carpet!!! The quality is AMAZING & the colors are true to the picture! Also, it’s a great deal! The closeup view of the rug looks like it is a photo of a real rug, the fibers look almost pixilated with tiny splotches of light color mimicking depth of the authentic original. Hard to explain. But from a standing view at the side of the room it looks "real" enough that I didn't return and, for the money, it's a good value understanding that it isn't meant for serious designer sensibilities. Beautiful rug!! Quality is great! Didn't quite have the antique look I was hoping for, but very plush. Vibrant colours.and it unrolled very well, no curved or bent folds, lays flat. 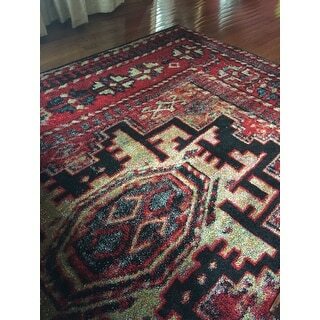 I love these vintage hamadan rugs. I have several of them throughput my house now. They brighten up each room and wear well. Plus, with 2 dogs the propelene cleans up well with a damp rag.